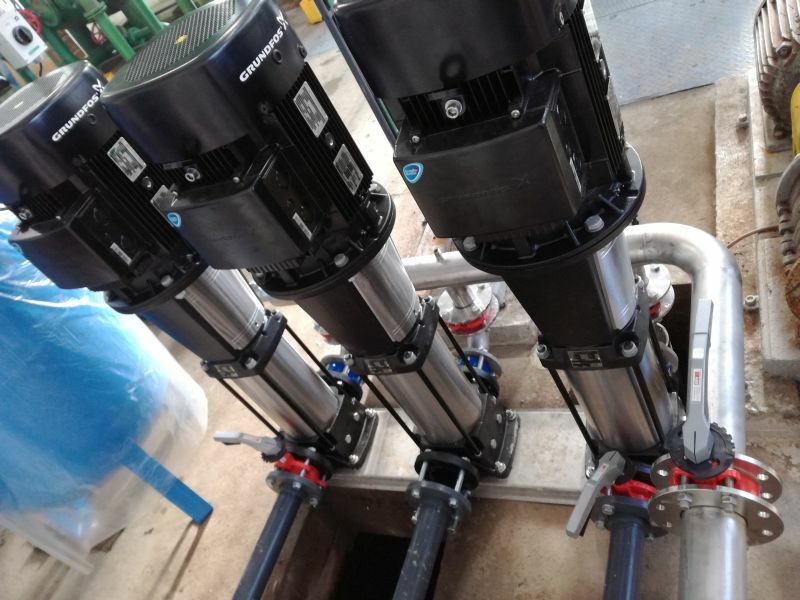 With integral turnkey projects or subtechnologies from VODASERVIS Ltd., you will use water resources efficiently and experience significant cost savings. According to your desired raw water flow [m3/hr, l/s] and quality, we will propose you the most optimal way of water treatment. Hydrogeological work (water source search using WADI VLF system, hydrogeological survey, reviews and reports, water supply drilling, water borehole and well drilling, pumping tests). Design of technological units of water treatment plants (complete documentation for project preparation, documentation of building permits for boreholes and wells, cooperation with engineering planners, provision of water to the customers). Project planning and engineering in the field of water management. Assembly of water treatment, pumping and piping technology (PVC U, PPR, PE and stainless steel). Authorization to operate waterworks (the function of a person with professional competence). 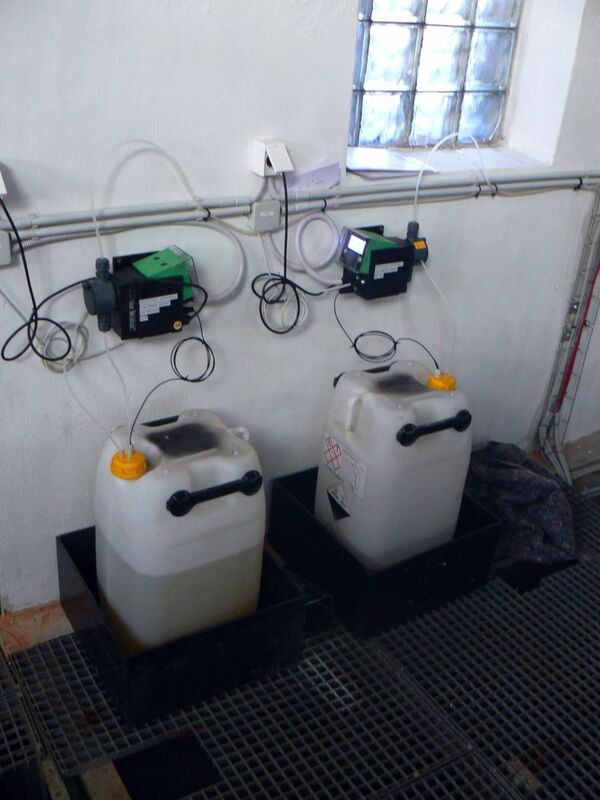 Provision of samples of both drinking water and wastewater. Maintenance of water treatment plants (pump repairs, e.g. rewinding electric motors). Expert consultations, status analyses and recommendations to improve the functioning of existing or new water treatment plants. Economic analyses of pumping systems operation and suggestions for appropriate modifications. 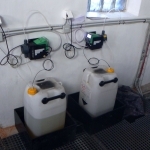 Water treatment for the manufacturer of thermal, soundproofing and fire insulation of mineral fibers consisted of replacement of existing pressure filters with new TVK 200 filters with 2 m height, with automatic control, control unit and parallel connection. We removed turbidity, iron and mechanical impurities. We also completed replacement of pipelines and technological wiring and reconstruction of pumping equipment. 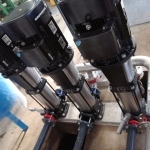 Water treatment for the world manufacturer of industrial fittings consisted of reconstruction of drinking water treatment technology to remove iron, manganese and CO2 , and increase pH; proposal of project documentation taking into account the modified input parameters of raw water; water treatment technology - filtration, aeration, sludge filtering, chemical dosing; automation of the operation and management of the water main, including the local control station and data transfer to the existing power dispatching system. Water treatment for producer and supplier of combined heat and power (cogeneration CHP) consisted of cartridge maintenance of demineralisation lines and softening filters. We also disassembled and delivered the regeneration junction of the demineralisation lines.